The Oregon based smartphone maker, InFocus has been silently working on a well laid out strategy for the Indian market. May be this is the reason that the last significant phone launch form the company came as far back as in October 2016, a rather long time considering the densely fought smartphone market. However, there is no denying the then InFocus Epic 1 was a decent phone in itself, but then, InFocus needed a new product to gather more attention and with the all new just launched InFocus Turbo 5 they claim to have exactly a right kind of a product. With a clear statement saying they will be launching more new phones in 2017; the company will easily be able to give direct competition to Oppo and Vivo in the Indian smartphone market. Launched in two variants the phone is priced at INR 6999 and INR 7999 for the lower and the upper spec variant respectively. The base variant gets 2GB RAM along a 16GB internal storage while the up spec variant of the same phone arrives with 3GB RAM and a much bigger 32GB of storage. That said, in first glance, one of the prime attention seeking and significant features of the phone is no doubt its metal unibody construction which is slim and light while at the same time should survive daily tortures well. The other feature worth mentioning is the presence of a large 5000mAh battery that should let you see all those movies and click those pics you want. That said, we did get to experience the up spec 3GB RAM variant of the phone during the launch. Read on to find out the first impressions of the new InFocus Turbo 5. 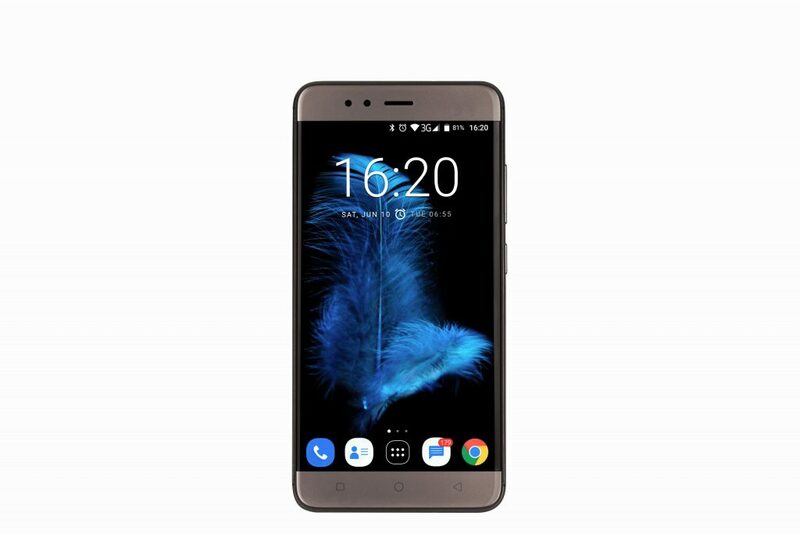 As already mentioned, this Foxconn manufactured phone’s key design element is its slim all-metal body holding a 2.5D curved glass in front. The usual power and volume controls have been placed on the right side of the panel while the Dual-SIM tray can be found on the left side of the phone. The dual-SIM arrangement holds Nano SIM’s for both. While the premium smartphone world continues to discuss ‘to be or not to be’ for the humble headphone jack, we can be happy that the rest of the mobile segment still offer a 3.5mm headphone jack. 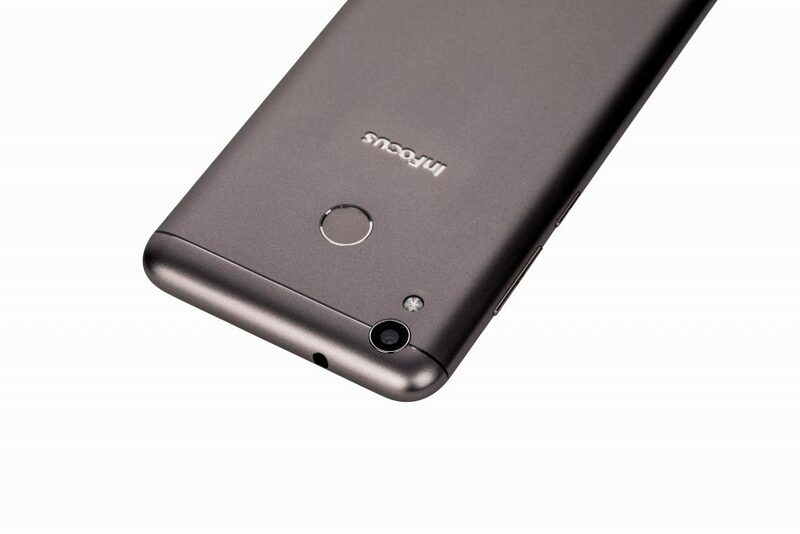 The new InFocus Turbo 5 has the headphone jack at the top while a Micro-USB port for charging and data transfer is located at the bottom of the phone. 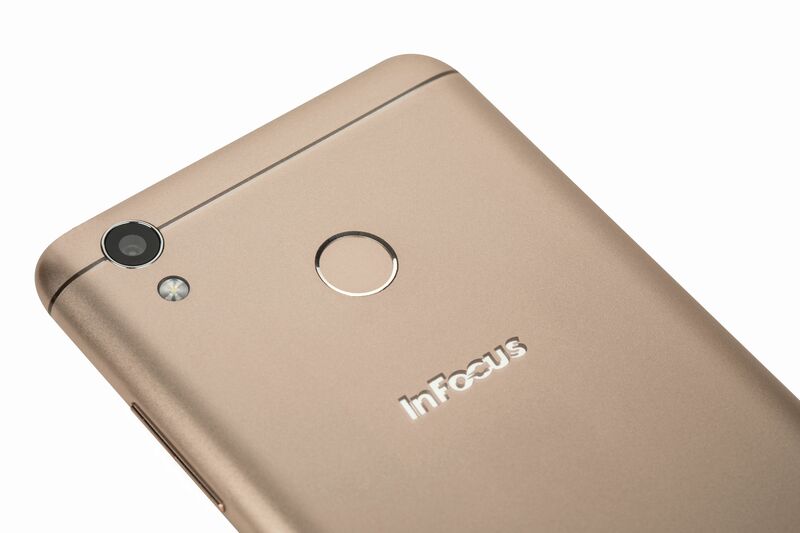 As is getting common these days, the fingerprint scanner is present and can be accessed from the back of the phone and just above the InFocus logo. At the top left of the phones back side, you get the single camera module and as you go towards the bottom part of the phone you will find the speaker grille. Although you cannot call the phone to be a great attention grabber, but still, the InFocus Turbo 5 feels premium and good owing to its metal construction, we reckon it is a nice touch for a low-cost smartphone. The best part is how the phone feels well built and even after a metal body, it isn’t exactly too heavy to hold especially when you consider the large battery that powers it. Also, we feel that the 5.2 inch screen size seems to be a perfect optimization, it is neither too small nor too big, just perfect, and you can use the phone with a single finger and handle it without much fuss as well. 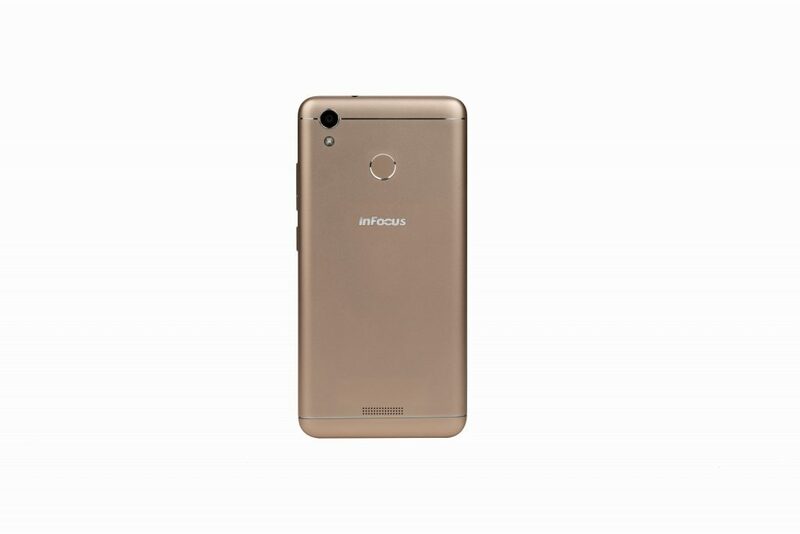 Another worthy of a special mention feature of the InFocus Turbo 5 design is the unique, exclusive and classy body colour called Mocha Gold. We found it to be just a perfect blend of style and subtleness and would chose this colour over every other gold based shade in the market. When it comes to performance, the InFocus Turbo 5 has a big 5000mAh battery at the center stage. So much is the faith the company is putting into it that it claims the phone will last for two days on a single charge, and that’s significant. Also, there is a standby time of around 34 days from full charge. In the same charge you can also do 23 hours of video calling or play continuous music for 50 hours straight. The other relevant specs of the InFocus Turbo 5 are in the same ballpark as its key rivals. A quad-core MediaTek MT6737 processor runs the whole thing and is clocked at 1.3GHz and can be chosen with either 2GB or 3GB of RAM. The UI is just a bit sluggish sometimes, however, the apps open fairly quickly and switching from one app to another was a smooth sailing as well. We can only know more about it when we spend a longer time with it. On the bright side (literally) the phone’s display was pretty bright indoors while at the same time was easily readable under the sun. In fact, for an HD display it works just fine, but if we have to nitpick, the colours were a bit dull. As for the OS, the InFocus Turbo 5 comes with the latest Android 7.0 Nougat. This also signifies that the phone will let you use the OS features like quick app switching, multi-window multitasking, and the ability to reply from notifications right out of the box. The InFocus Turbo 5 offers a decent camera specs for it price and its competition as well. It has a 13-megapixel camera as a primary unit that has LED flash on offer while there is a 5-megapixel front-facing camera to take care of your selfies clicking duties. Interestingly, both cameras, the front one and the rear boast of f/2.2 apertures. In good natural lighting the primary camera performs satisfactorily however, the dullness in colors could be because of the display. The front camera too performed expectedly for a phone of this price segment and there is nothing extraordinary to talk about it. As is almost a norm these days, the camera app on the phone offers a face beauty mode. As for other camera settings, they allow you to fiddle around with the Exposure, White Balance and Anti Shake settings easily. Then there are the usual’s like a self timer, toggle EIS, and a manual mode where you can set ISO as well. Priced competitively against the segment, the InFocus Turbo 5 has quite a few things working for its benefit. Some of the things we liked about the phone were its premium metal design and that pretty massive battery and a claimed two day run on full charge. Needless to say, you will find the company to use these as key selling points for the phone and they should be. If you feel irritated by your phone that doesn’t last a day, then this InFocus Turbo 5 might be worthy of a look. This is clearly its biggest selling point, so those who really need a smartphone that will last more than a whole day should take a look at this one. When you consider the budget segment smartphones, the InFocus Turbo 5 competes with them pretty well at a price of INR 6999 and INR 7999. 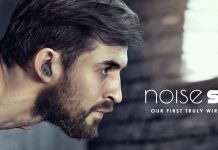 Link to buy this device – http://amzn.to/2t82P69, Sale starts on the 4 July 2017. And with a huge battery at ones of its core USP’s, it would be interesting to see how this phones fares against its significantly famous rivals. With our first experience with it, we reckon the InFocus Turbo 5 might just pull off a great run, however, we could only be sure after a proper test. A modular outdoor cooler? Now, that’s innovative!! How Many of Us Spend Two Minutes with Parents?